Sleek and stylish, Ace Hotel is a hive of creativity and excitement that you won’t want to miss. Minimalist in design, the Ace Hotel’s many event spaces and bedrooms theme around light greys and bright lights. A little bit hipster and definitely cool, the Ace Hotel ticks a lot of boxes you may not realise you had. Explore the space for yourself, book in a site inspection with Villiers’ Venue Finding team today. Villiers free venue finding service source the most exciting and spectacular event spaces that are right for you. Whether you prefer the modern surroundings of the Ace Hotel, or something more traditional, Villiers is delighted to assist. Get in touch and start planning your next event today! Find out more about Villiers’ venue finding service here. Part of the Ace Hotel’s spectacular group, it’s the Ace groups first hotel in Europe, but definitely not the last. An urban jungle hotel, with exposed brick work, industrial metal and denim bedspreads. For artists, tech geniuses and creatives alike, for those who represent the hotel’s own brand of cool. And though there are grey tones and metallic edges, the Ace Hotel is far from cold. It’s splashes of colour, bold lighting, and use of fresh green indoor gardens brings the place to life. It’s an hotel inviting everyone and anyone to add to the excited buzz of the space. 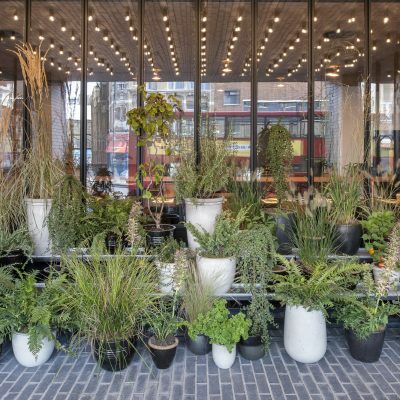 Explore the Ace Hotel’s own gallery featuring the hottest new artwork local to Shoreditch. 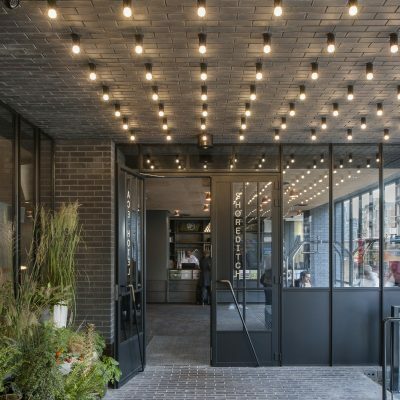 Ace Hotel is located on Shoreditch High Street, near to the Brick Lane market. Just a five-minute walk from Shoreditch High Street station and 10 minutes’ walk from Liverpool Street station. How it works for events? For any occasion, the Ace Hotel can defiantly provide. 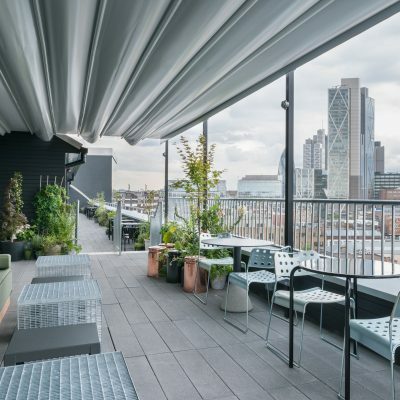 With a beautiful rooftop bar with terrace overlooking the stunning London City skyline, it’s perfect for a summer party. Each of the meeting rooms is filled with natural daylight, is sleek in design and features state-of-the-art teleconferencing systems, WiFi and AV equipment. 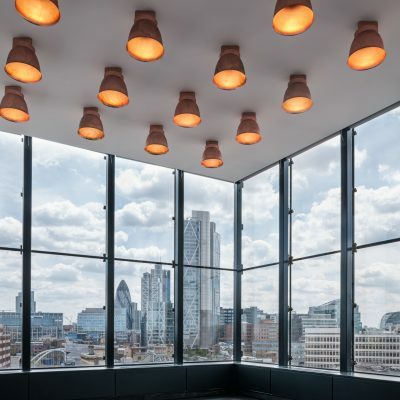 The largest meeting room, Britannia, enjoys access to its own private balcony with views across Shoreditch and the City of London. For a large, flexible space, the Ace Hotel’s 100 room can be used for receptions, Christmas parties, meetings, gala dinners and much more. The floor to ceiling windows look out across London and the stylish lighting features add to the design of the room. The muted greys would make the perfect background for a fashion event. At Ace Hotel, you will certainly be celebrating in style, the space boasts world-class hospitality and exceptional cuisine. In the basement of Ace Hotel, you will find an intimate club called Miranda’s. Miranda’s is known as the perfect gig location, but also hosts a variety of film screenings or comedy evenings. Miranda’s would make an ideal location for an unforgettable Christmas party. Find the perfect space for your next occasion, take advantage of our free venue finding service and speak to a member of our team today. Top 5 Christmas party venues: The City!